On some cruise ships, managers will order crew members to hide improperly-stored food or dirty equipment in their cabins to make sure they aren't found by health inspectors, according to Jim Walker, a lawyer who specializes in cases involving cruise line employees and passengers. A ship operated by the luxury cruise line Silversea was caught hiding food, dishes, and utensils in 2013, when the Centers for Disease Control and Prevention conducted a surprise inspection after receiving a tip from a crew member. A Silversea representative told CNN at the time that the ship was an "anomaly," but Walker said over 90% of the respondents (more than 100 in total) in a Facebook poll he posted said they had been instructed to hide food in their cabins while working on a cruise ship. 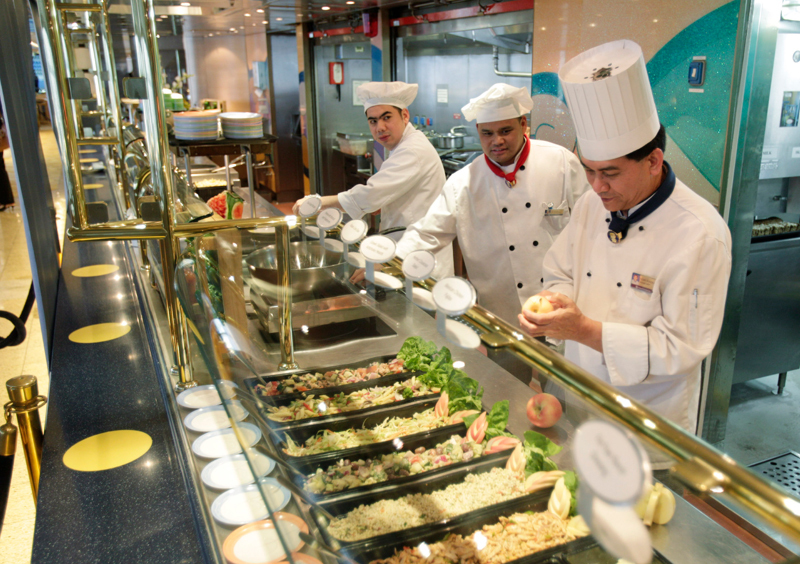 Cruise ships can be breeding grounds for food-borne illness, as the effects of rotten food or dirty kitchen equipment can ripple through the hundreds or thousands of passengers on a ship. That's why the Centers for Disease Control and Prevention (CDC) inspect cruise ships to make sure they follow proper sanitation and food-storage procedures. But sometimes, a ship tries to skirt the rules, Jim Walker, a lawyer who specializes in cases involving cruise line employees and passengers, told Business Insider. In some cases, cruise ship managers will order crew members to hide improperly-stored food or dirty equipment in their cabins to make sure they aren't found by health inspectors, Walker said. He added that this food can later be served to passengers. A ship operated by the luxury cruise line Silversea was caught hiding food in 2013, when the CDC conducted a surprise inspection after receiving a tip from a crew member. The government agency gave the ship a failing grade and cited it for conducting an "organized effort" to move 15 trolleys of food - including milk, raw meat, and cheese - as well as dishes and utensils from the ship's galley to the cabins of crew members to make sure they wouldn't be seen during an inspection. The CDC said it poured "concentrated chlorine liquid" over the food to make sure it wasn't later used. "You wouldn't believe how many crew members said, 'Why is this a story? This happens all the time on cruise ships that I've worked in,'" Walker said.